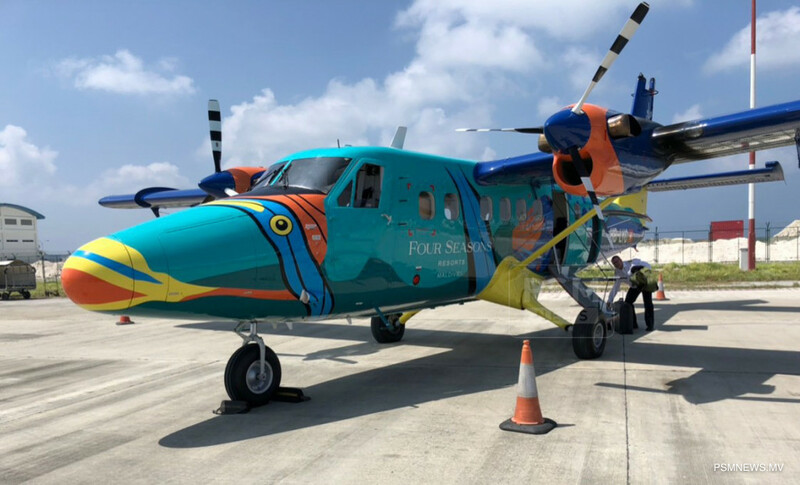 Trans Maldivian Airways (TMA) has introduced its 52nd seaplane to its fleet. The seaplane was brought to carry passengers of Four Seasons Hotels and Resorts, according to TMA. However, the seaplane will be operated by TMA. The 52nd seaplane was brought from Switzerland on Monday. Recently, TMA received the title of World's Leading Seaplane Operator at the World Travel Awards (WTA) 2018 at the WTA Grand Final Gala Ceremony held at the historical Patio da Galé in Lisbon, Portugal. To defend the title, TMA competed with world renowned sea-plane operators, including Harbour Air, Canmore Air and Seaborne Airline. TMA has previously won the award in 2014, 2015 and 2017. Founded in 1989 as a helicopter operating company, TMA first operated as Hummingbird Island Helicopters. The name was then changed to Hummingbird Island Airways in 1997 after the first seaplane was added to the fleet. TMA began its seaplane operations in 1998 as Trans Maldivian Airways. In 2000, TMA was declared as an only seaplane operating company. TMA is currently the largest seaplane operator in the world with a fleet of 52 seaplanes that operate regular flights throughout the Maldives.